Filmmakers from all over the world submit their films to Filmed by Bike in the hopes of being declared a World’s Best Bike Movie. Who will win this year’s awards? You’ll just have to come to the Awards Ceremony to find out! 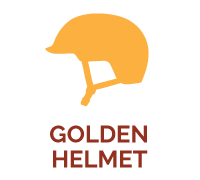 The Golden Helmet Award, presented by Travel Oregon, recognizes the independent filmmaker who courageously combines an original concept, a unique use of cinematography and a creative view of bicycling life and/or bike culture. This award was created by Filmed by Bike to honor the top film of the festival. Nominated films will be designated during the festival. The winner will be announced on closing night. The winner will receive a custom trophy courtesy of Filmed by Bike. The two honorable mentions will receive trophies. The best Filmed by Bike submissions have excellent soundtracks. That’s why we’re proud to bring you the Music Award, presented by Radio Room. Over the years we have seen amazing collaborations happen between filmmakers and musicians. 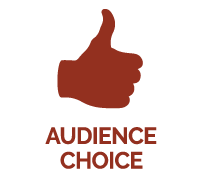 Use independent, licensed music in your piece and you’ll be entered into the competition. The jury will be screening for songs that provide an awesome soundtrack for your movie. It doesn’t matter how many different songs you use, but everything in your movie has to be licensed (permission granted to you for the use of the music for your movie or Creative Commons with the appropriate credit) to be eligible for the award. If you have an interesting story to share about the scoring of your music, please let us know. The music or sound designs used in your film is your own. (Or) The music used in your film is license by http://creativecommons.org/ and you’ve given the appropriate credit. Our jury looks for the best use of music and an intriguing collaboration or integration. 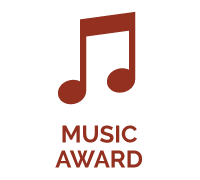 In order to be entered, you must check the Music Award box on the submission form. The winner will receive a custom Filmed by Bike trophy. Vote for your favorite Filmed by Bike movie. There are more than 45 movies playing at Filmed by Bike so we encourage you to purchase a festival pass and watch them all. At the end of the festival, come back here to vote on your favorite. We will announce the winner here and on our Twitter and Facebook feeds. Local filmmakers have made Filmed by Bike the amazing film festival it is today. For many years, 85% of our film submissions came from within the Pacific Northwest, a region rich in creativity and innovation. These days, 85% of our submissions from from outside the region, but we’ll never forget the many filmmakers who helped our festival grow to where it is today. 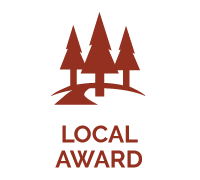 To honor our roots and our strong regional film community, we offer this prestigious Locals Only Award, presented by the The Street Trust, to the best regional film. The winner will receive a $100 cash prize. 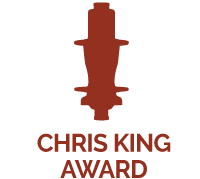 The Chris King Award honors the film that embodies a spirit of performance, perseverance and passion through the lens of endurance. A selection of films nominated for this award are reviewed by Chris King and he selects the winner and runners up. A custom trophy designed and fabricated by Chris King Precision Components.